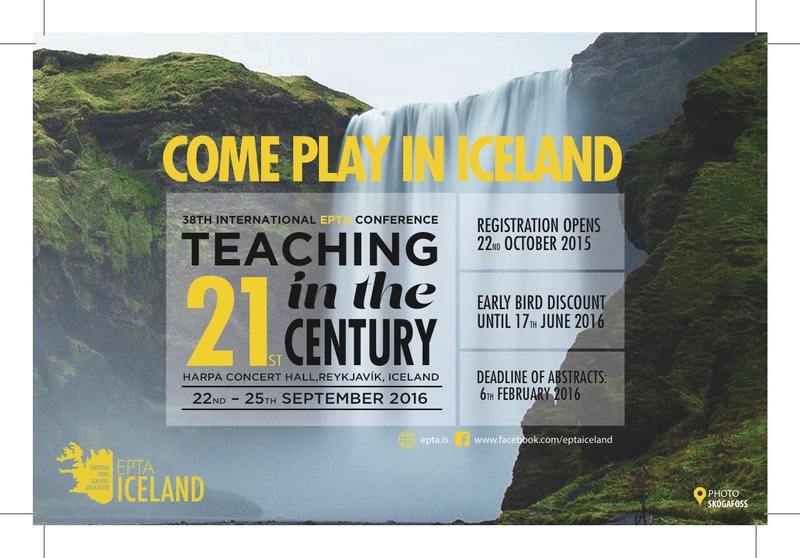 EPTA Iceland is proud to be the host of the 38th International EPTA Conference held in Reykjavík 22nd-25th September 2016. The theme of the conference is Teaching in the 21st century, Modern Methods and Material. Registration opens on the 22nd of October. Early bird discount until 17th of June. Deadline of abstracts is the 6th of February.